My dear friend Sarah has written another book. 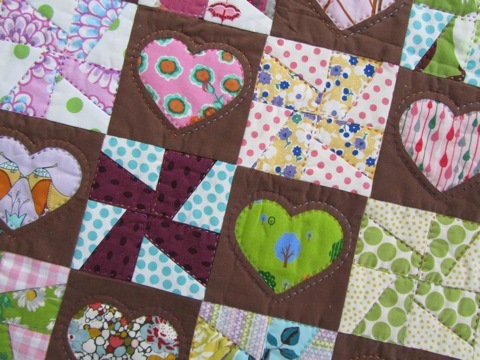 Maybe you’ve heard of it — Hand Quilted with Love. I’ve horned in on her book blog tour to celebrate her talent and creativity, among her many other fine attributes. I admit that I squeal every time I get to take a sneak peek into her latest work. Yes, I am lucky that way. 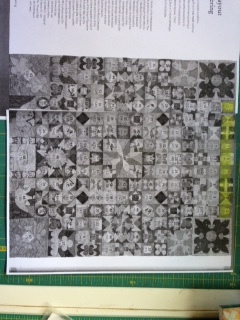 So, she may have showed me some of the quilts from the book in advance. 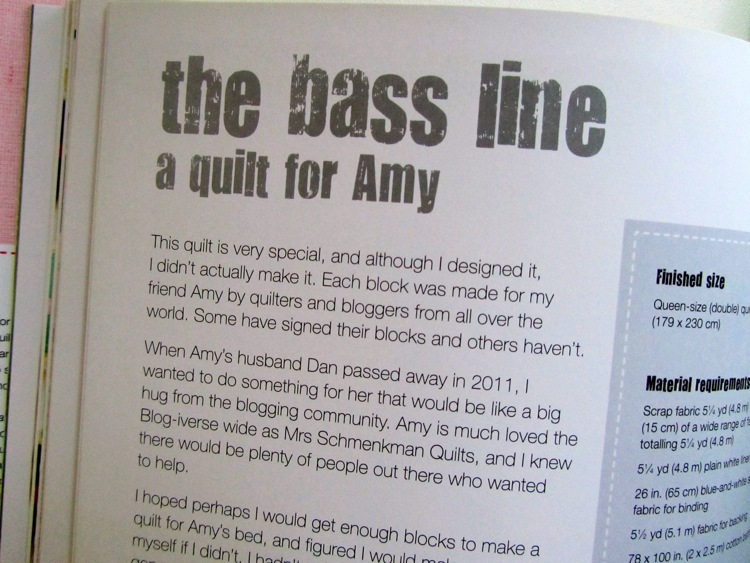 And I squealed like a little girl and once again decided that I wanted to make every quilt in the upcoming book. 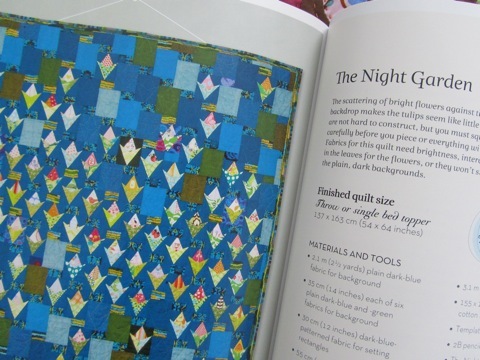 Seeing as I am still working on quilts from the last book….ahem…why not dive in and start a quilt from the new book too?! 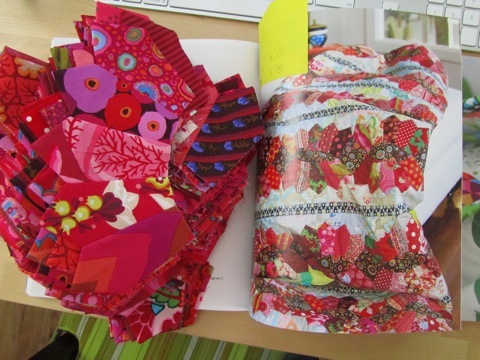 Frankly though, I see nothing wrong with that because, as the book’s subtitle says, “Patchwork projects inspired by a passion for quilting.” And who doesn’t get a little carried away by the passion for quilting? 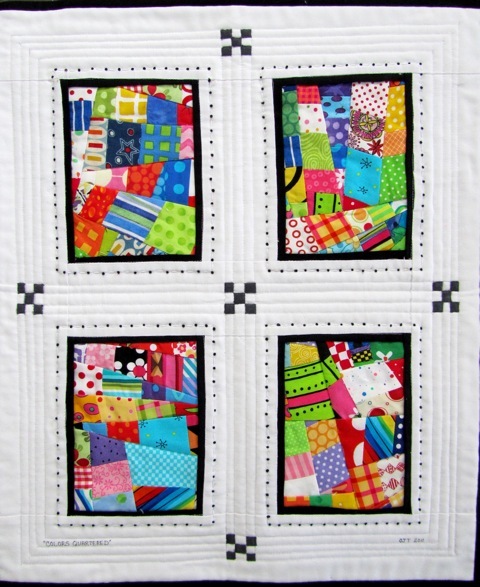 And I can feel Sarah’s passion for quilts in each of the designs in Hand Quilted with Love. 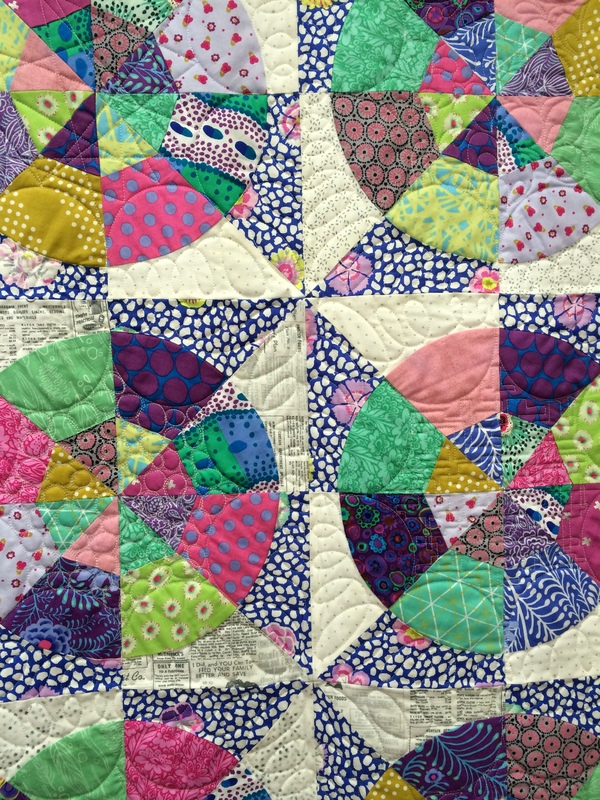 And so I get carried away and squeal a little and decide that every one of the quilts speaks to me (and says “make me….”). 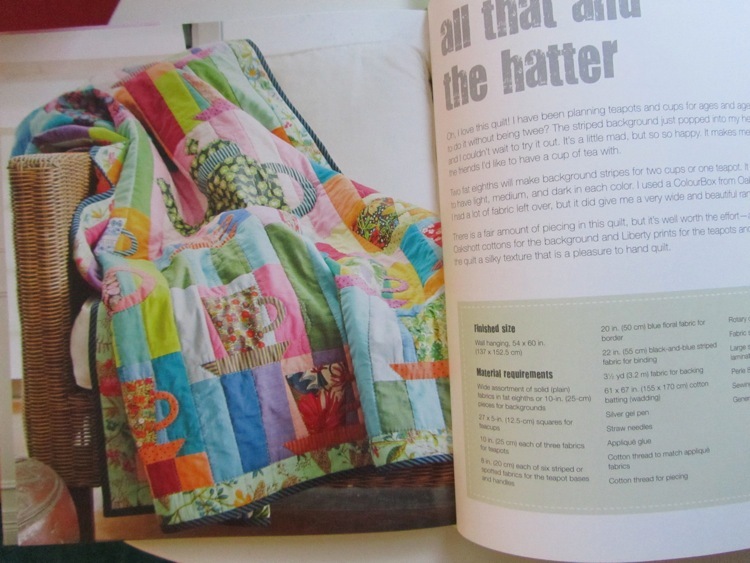 In the sewing room, you will find my copy of Hand Quilted with Love duly page marked on All That and the Hatter. 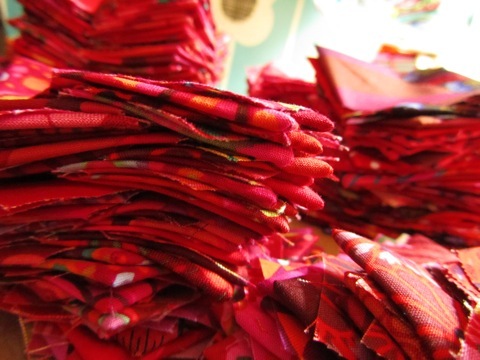 You will find a stack of light Kaffe Fassett shot cotton fat quarters and a stack of Liberty Lifestyle Stile fat quarters. 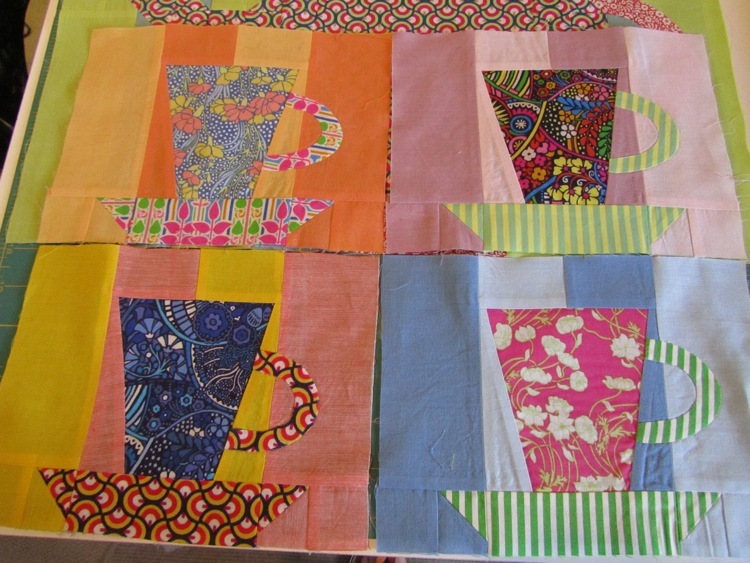 You will find me puttering around with background stripe combinations and cup and saucer combinations and teapot combinations. 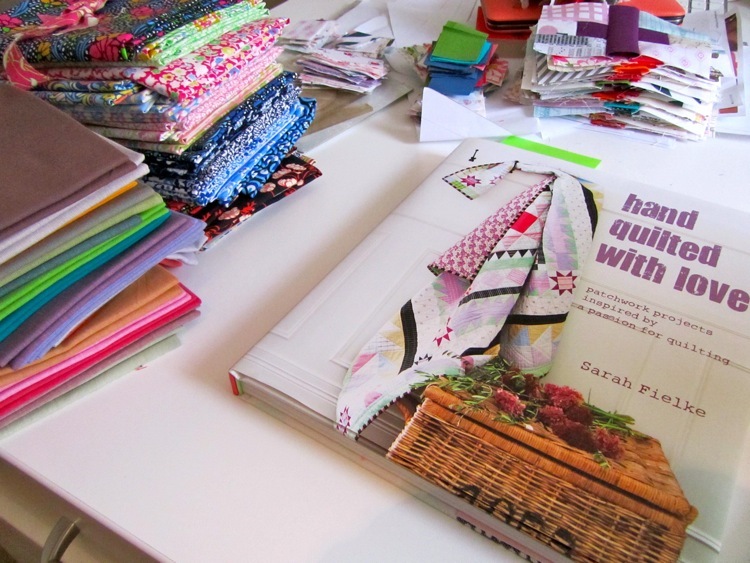 You might also find me squealing like a little girl over the fun I’m having with Sarah’s lovely design. This one is VERY, VERY satisfying to undertake as well — put the thinking cap on on occasion, it’s a good thing. 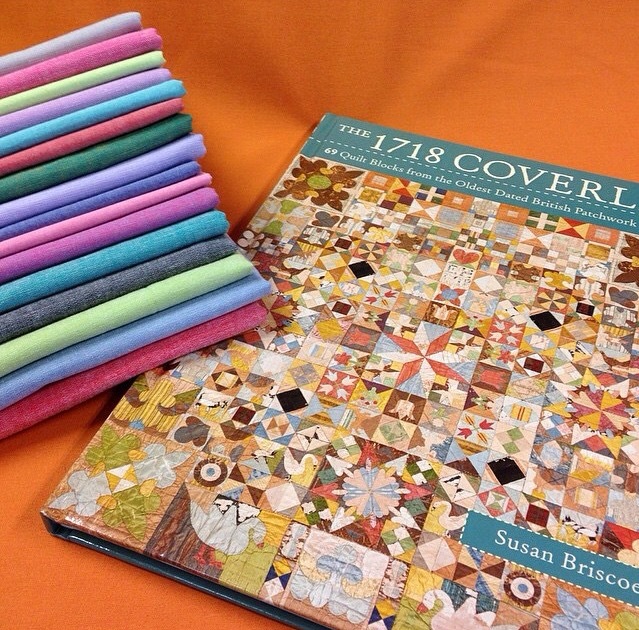 Sarah’s new book also includes an incredibly special design. You might have seen it. Or been a part of it. Along with squealing, there was crying. Which is to be expected. Seeing it in print took my breath away. Not in a bad way. Just in the way that it is. 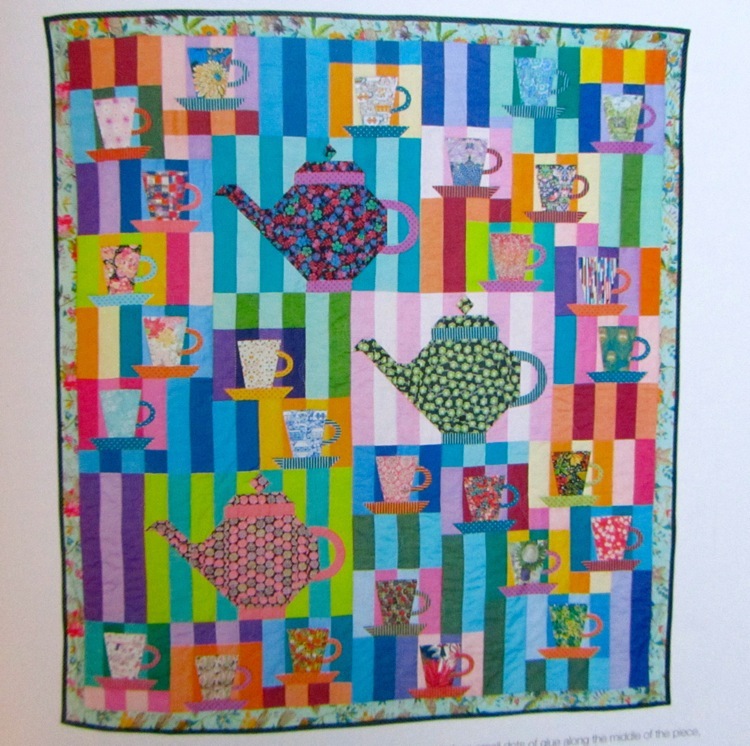 The version in the book is Anabel’s quilt. 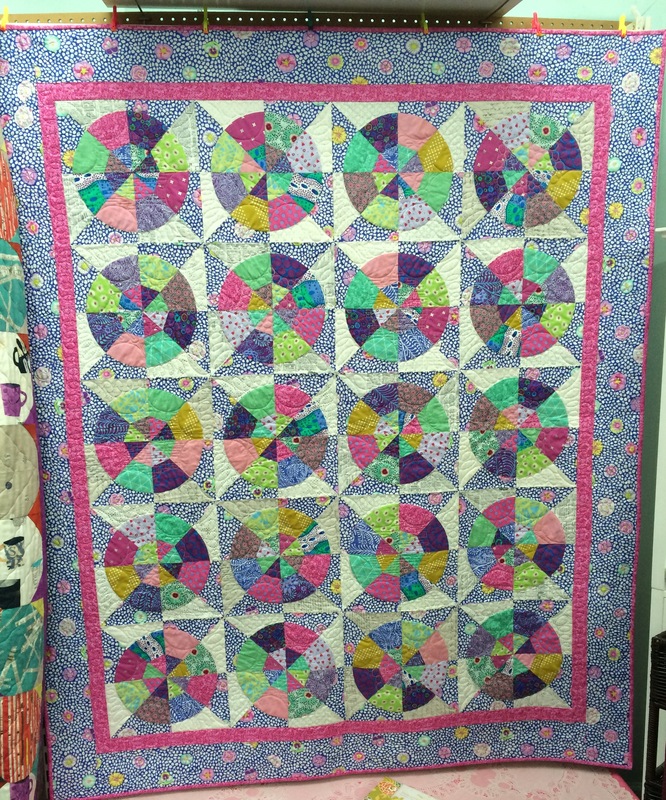 At fall quilt market, I picked up my quilt. I have slept under it every night since Sarah presented it to me. In fact, she had it on the bed at the hotel. I am still overwhelmed by your kindness and generosity and caring for us. I thank you all from the bottom of my heart. 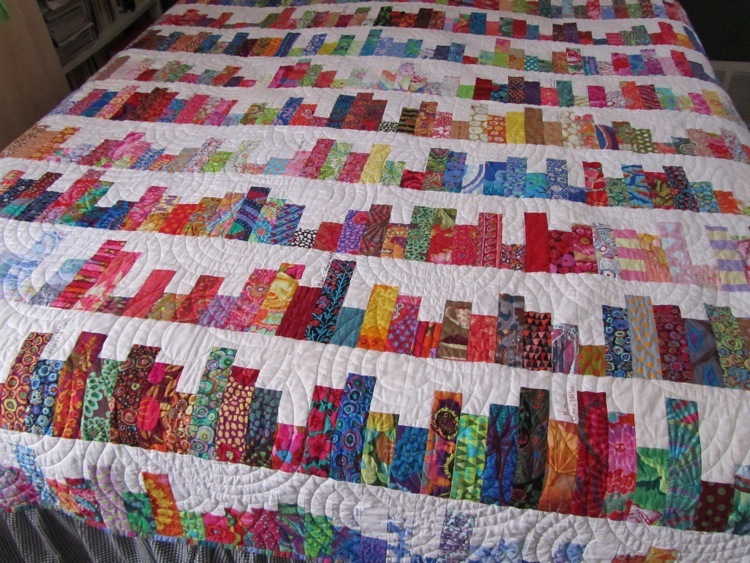 Please know that not a day goes by when I don’t look at this quilt in amazement and appreciation. 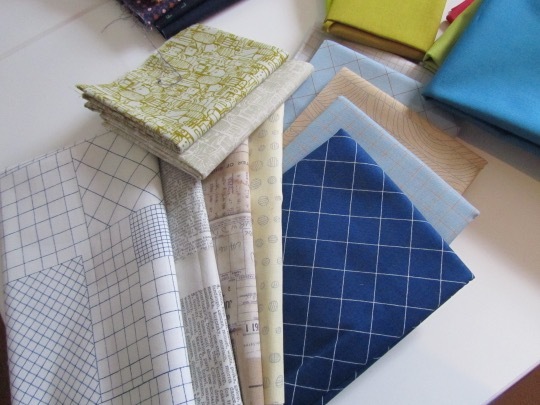 It is a great comfort to read your names and admire your fabric choices. Thank you. 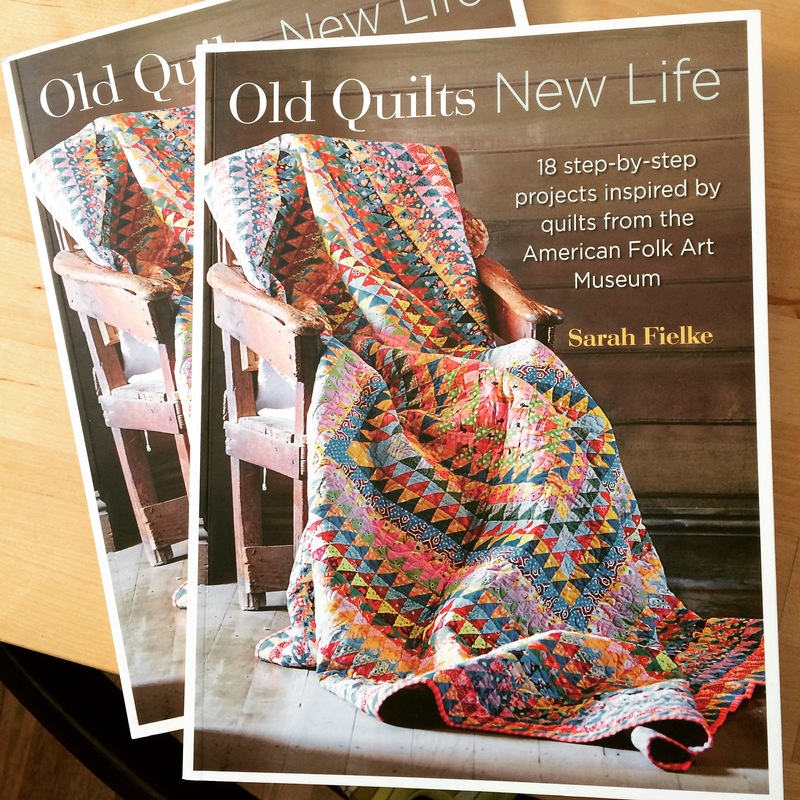 In the future, I hope you will also find me making more of the quilts from Sarah’s wonderful new book. 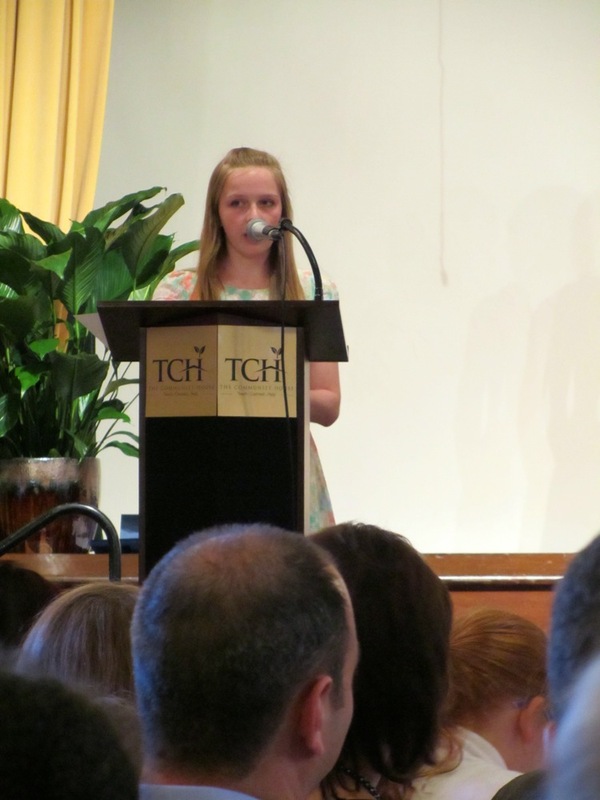 Congratulations, miss! I’m thrilled for you, I admire your talents and hard work and I’m so happy to call you a friend! Since I have been away away away for so long, I’ll include some updates. 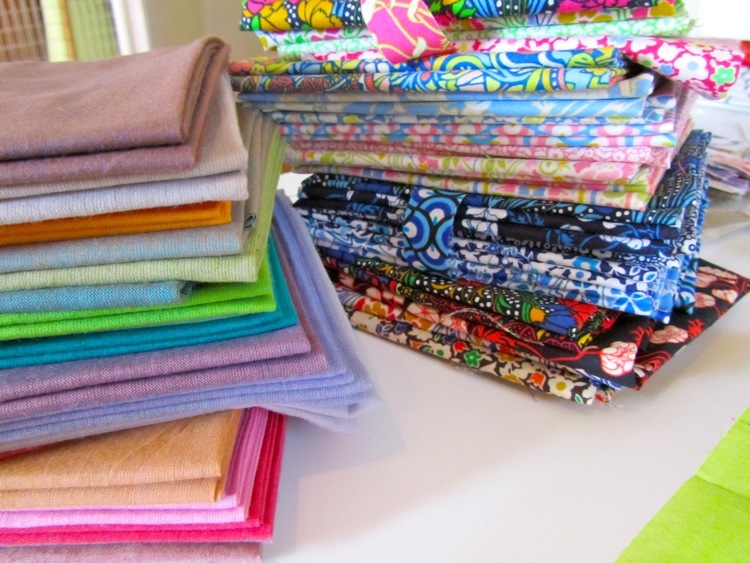 I came back from quilt market in the fall to news of another serious health concern in my immediate family. It was jarring and once again scary and it set me back somewhat. But all is now well and we’ve been lucky to have had the best outcomes all the way along. I have also been keeping up with the kid. 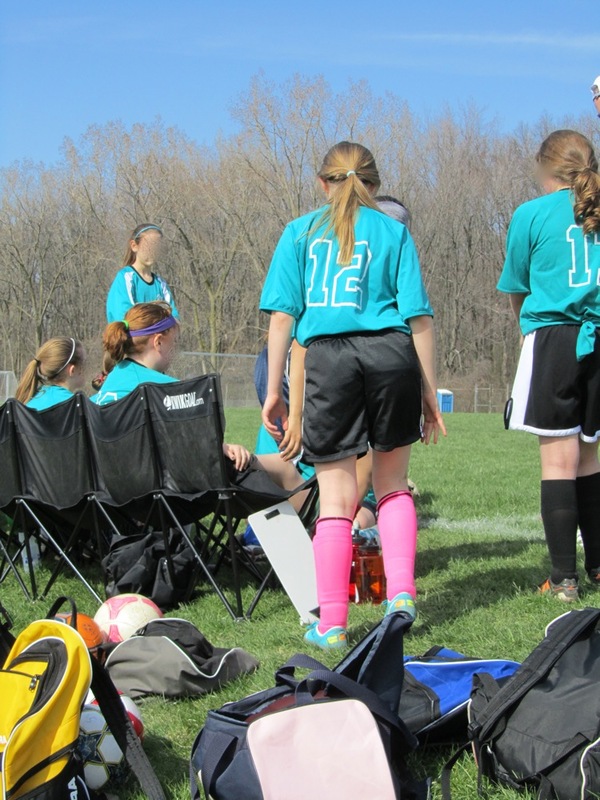 Here are some recent action shots because it seems that she is all action and I am her personal assistant making sure she is where she needs to be and she is fed and garbed. 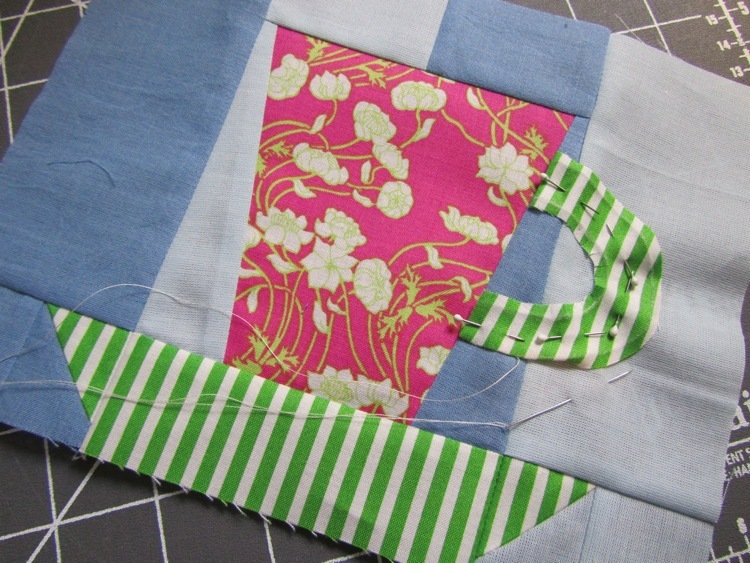 Despite the quiet around this blog, I have been sewing. And sewing. And sewing. 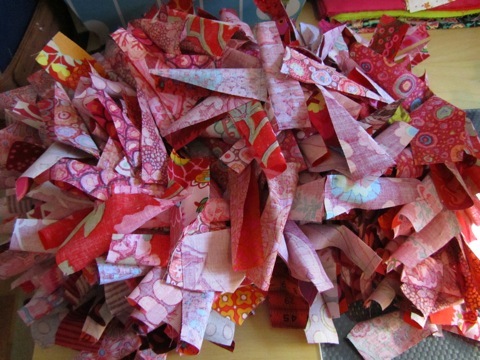 But I feel like I’ve been working on the same three quilts for a very long time. Which I have. This is the last of three big buggers. Finally finished the top today. This is a wedding gift. 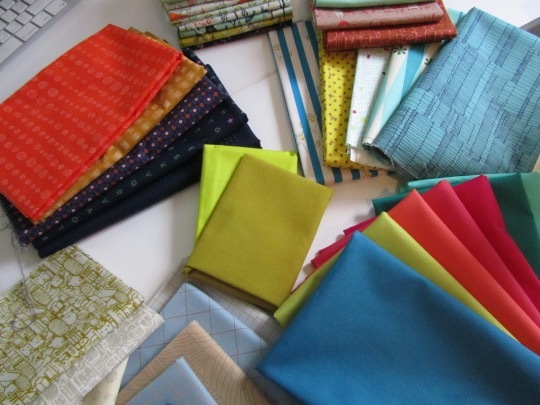 I collected a very large pile of fabric first, including 13 yards of the Alexander Henry mustache fabric (most for the backing). I thought I would wing it, patternwise. 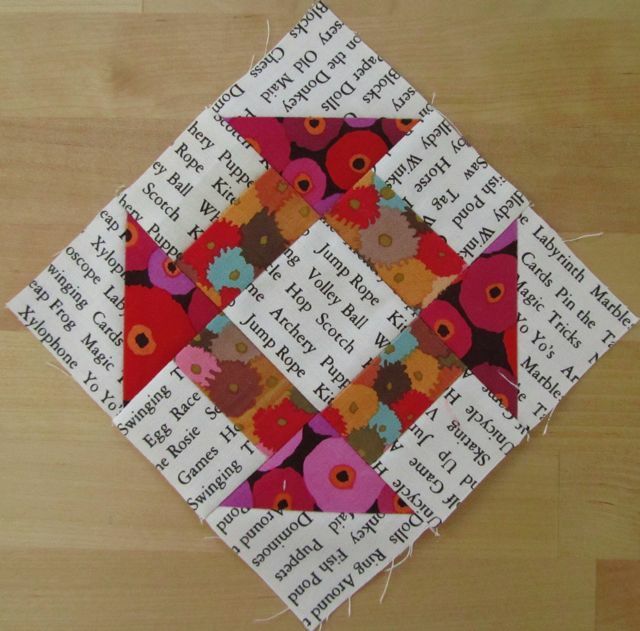 When it came time to start, I thought better of the winging it approach and went hunting for a pattern. I settled on Emily Cier’s Discontinuity. And then I decided to make it differently. 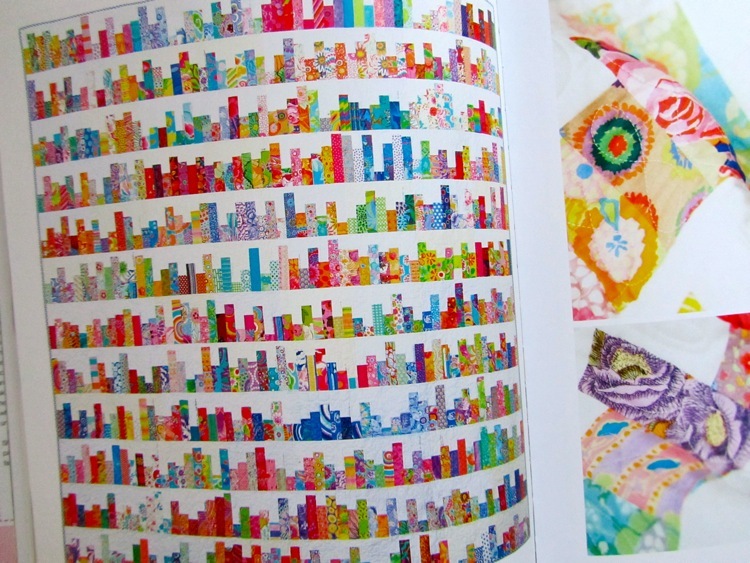 Emily’s design uses her clever pixel piecing. I decided to translate it to be able to sew with bigger chunks. First, print the schematic and don’t panic. Next, sew up a couple of sections. Third, ask what the heck am I doing? Fourth, head down, eyes on your own paper, cut, sew, cut, sew, do a little math, get out the seam ripper, work out some partial seams thanks to your “clever” translation, cut, sew, press. Until some time days later, the queen sized top is done, there are threads hatching from every seam that will need to be trimmed. It could really use a good re-pressing. 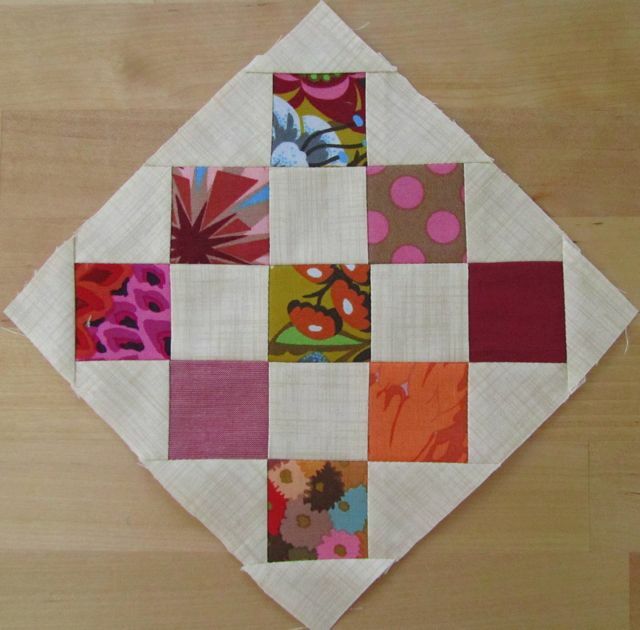 And now to do the quilting. Straight line. Straight-ish line. Wobbly line. I have a cone of thread ready for the task. So. Where were we? Or where was I? You thought I disappeared, didn’t you? It felt like it there for a while. Lest you think I’ve been lounging on a beach or resting on my laurels, I have some things to show for my time. 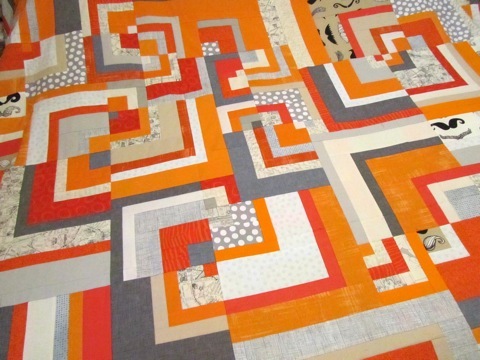 I saw a vintage quilt with orange peel blocks on point in two colors and my head went boing. Speaking of the Dollies Online, you can now purchase the downloadable patterns individually over at Sarah’s lovely web site. Mass Appeal will show up there shortly as well. 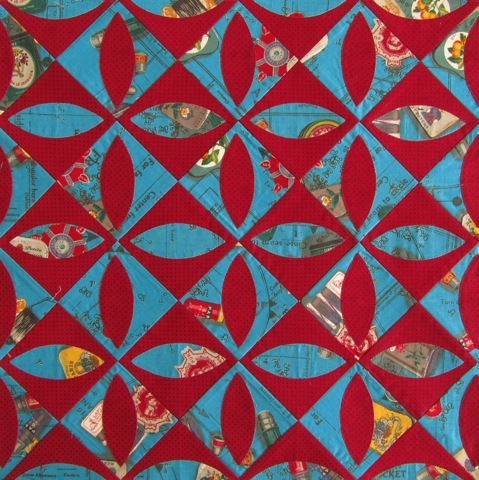 I didn’t mind sacrificing that blue sewing themed Suzuko Koseki print for this quilt. It seemed a worthy use. 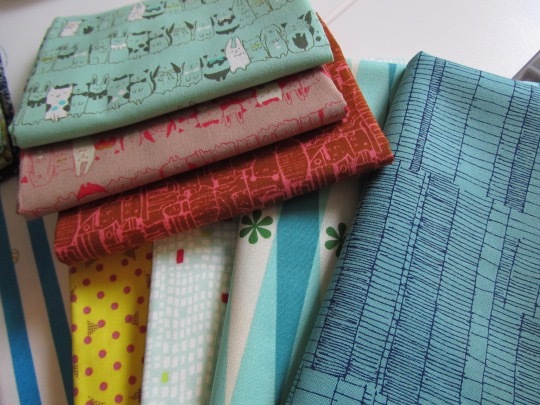 I’ve been digging through some of my old Kaffe fabrics and scraps of old projects. 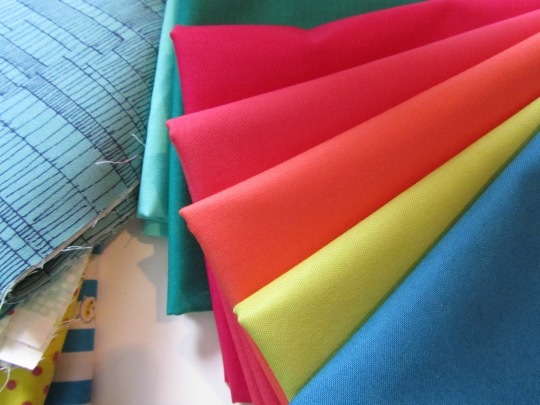 Going down fabric memory lane. 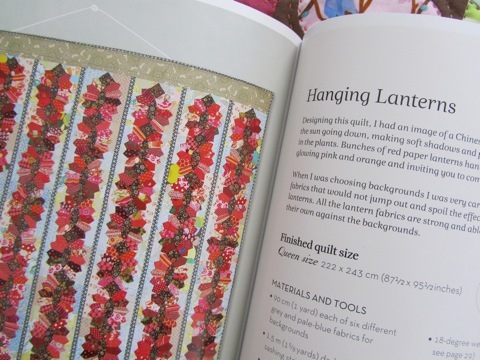 Last but not least, a step by step by step project, indeed… Sarah‘s Hanging Lanterns pattern. 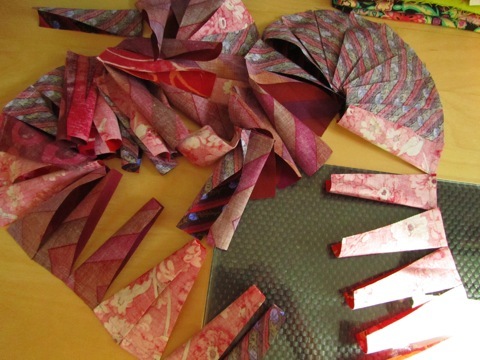 First, cut 800 (or more in case of goof ups…ahem), fan blades and sew them. 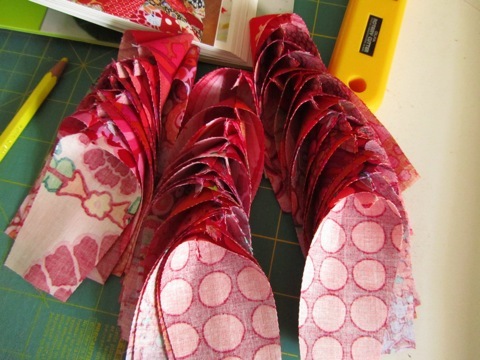 And sew them together into arcs and get them ready for the next step. As Sarah has reminded me, she did all of this already and I should not complain. No complaints. Just noting for posterity and recordkeeping and goal setting. 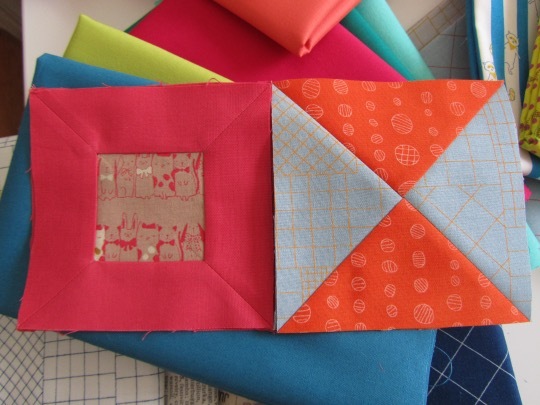 I’m also dabbling in the Japanese Boxes quilt from issue 81 of Quiltmania. 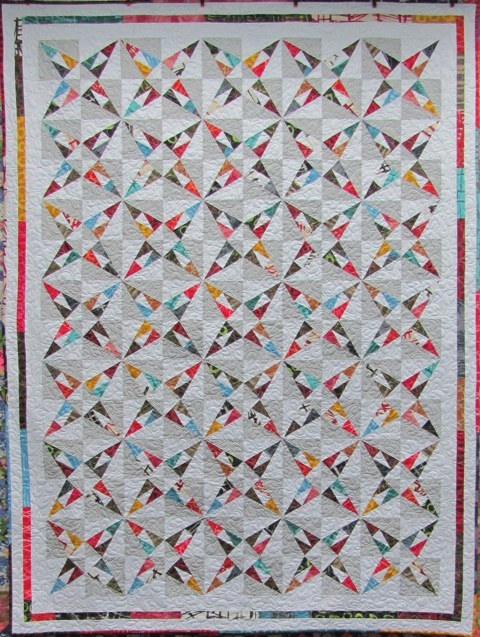 I saw this quilt over at the gorgeous Facile Cecile blog. I couldn’t get it out of my mind. And then I re-drafted it ever so slightly so I didn’t have to cut anything in 1/16ths of an inch (sometimes my laziness instead makes my brain hurt a little more) and could use a rotary ruler. 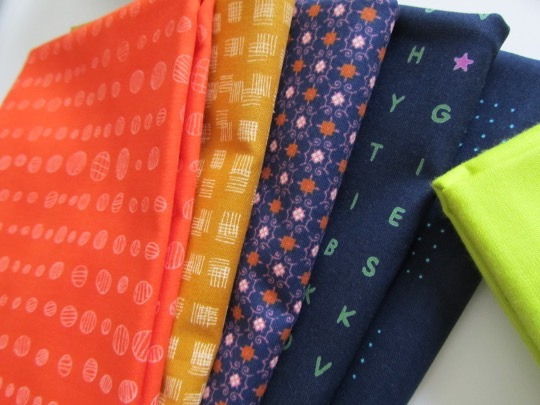 These are a little on the addictive side and very easy to sew on the machine. So, that’s some of what’s going on here. I’ve missed you. It has been an exciting time mail-wise of late, as you will see. I just can’t help it, this is the most exciting mail of the year so far! I would venture to say that this is the most exciting mail of all of 2011 even though we’re not halfway through. 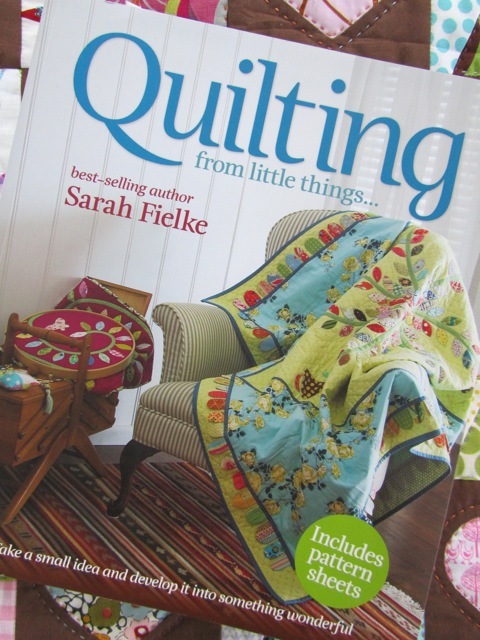 Sarah’s new book, Quilting, From Little Things, arrived at my house. I will confess up front that I got a little weepy going through the book — I am SO happy for my friend AND this book is THAT gorgeous! It is a triumph. 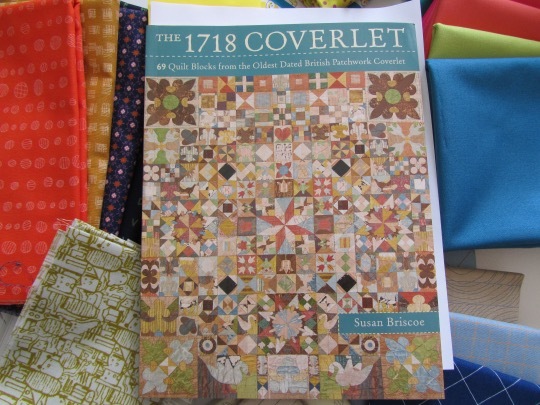 I know Sarah’s my friend and all but, honestly, this book is at the tippy top of the list of best quilting books. For creativity, for fun projects, for technical know-how and for beauty. The photography by Sue Stubbs is spectacular. I felt like I could reach out and touch the quilts in the photos. Beautiful! I also think my weepiness came from the fact that the quilts capture the essence of Sarah somehow (So Very Sarah TM) — and that is in a combination of things from the fabric choices to the visual references to quilting’s past (and moving those references forward to the present) to the abundant perle quilting to the technical expertise (clear from those great photos). 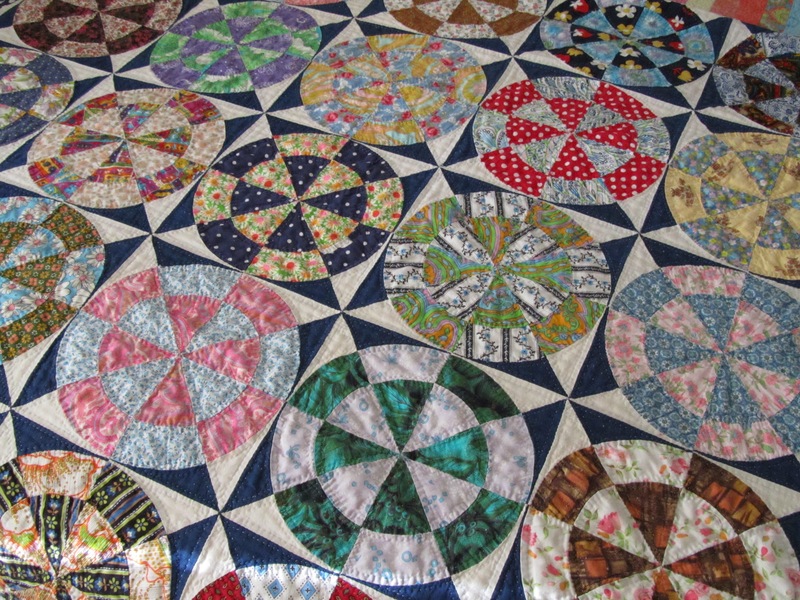 I can’t explain it sufficiently but these quilts have Sarah’s DNA (and not from the time that she poked herself with a needle and got blood followed by spit on a quilt….I don’t know that that happened but you know what I mean). These are awfully big things that have grown from little things. 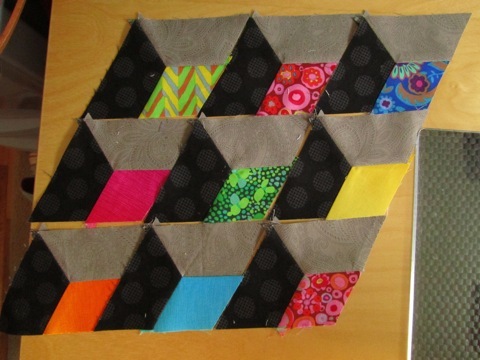 Oh dear, I really want to make them all first but I probably shouldn’t put a pic of every quilt here in my blog post. 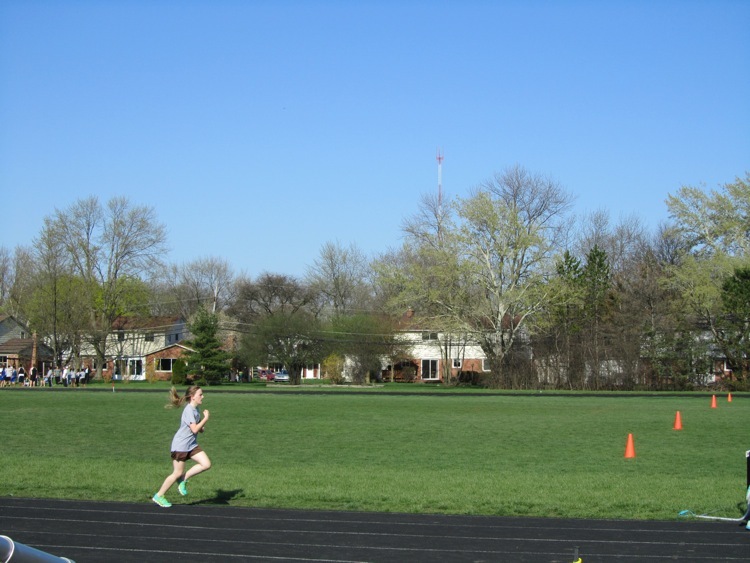 Bad form, no doubt. 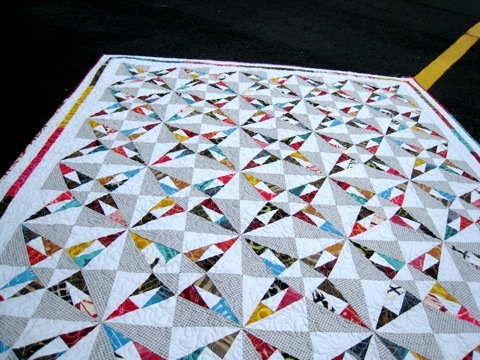 And I’m leaving out the eagles quilt that I love too. Shh, don’t tell the them. And, oh, hello wall! 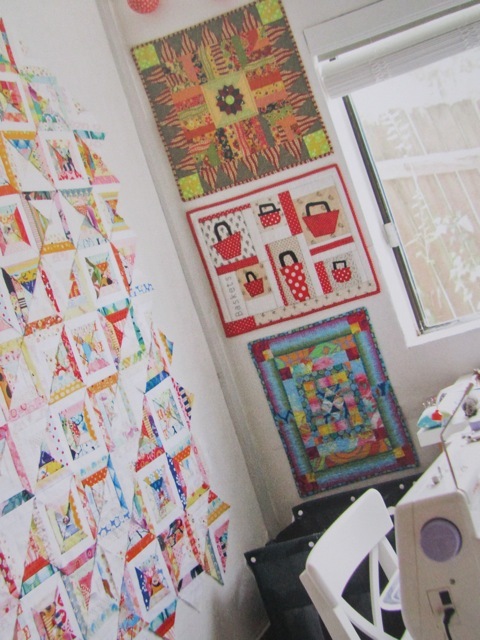 I recognize those little quilts back there. How are you guys doing? You look happy in your Australian home! Toodle-oo from Mom! In all seriousness, the book is a gem! Congratulations to Sarah and all the lovely people involved in putting it together! Bravo!!! 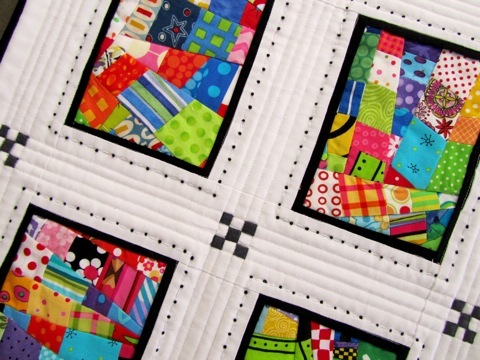 Don’t miss the Quilting, From Little Things blog tour going on now! 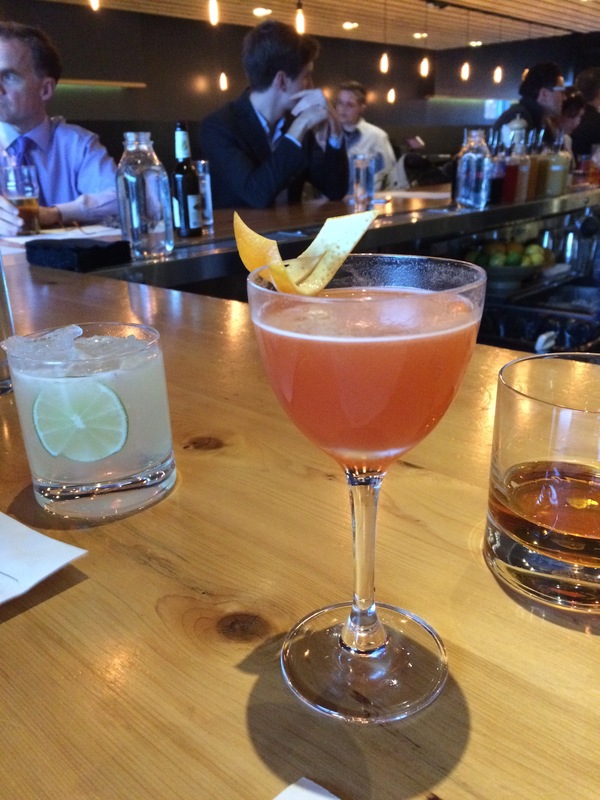 Oh, and don’t forget to scroll down and read all about the book launch party. I was there in spirit and had to toast two days in a row just to make sure I covered the time change…all in a day’s work. I would say don’t dawdle in getting yourself a copy of the book. I know that we in the U.S. won’t have the book in stores for some time to come, BUT, it looks like one can pre-order the book from the Book Depository in the UK. The book is due in the UK early in May and the Book Depository has free worldwide shipping. I am a happy customer from previous orders. A is for adorable! I really need to get the number of that variegated thread Sarah’s been using too. Isn’t it wonderful?! 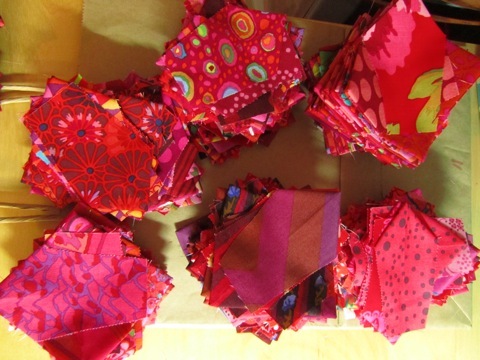 It’s called Colors Quartered and will be such a cheerful quilt on the sewing room wall! I can’t wait to hang it up. Those French knots slay me! OK, I started a little organization project in said sewing room, so I’d better get back to it before we have to go to, let’s see, yes, the orthodontist today (back at that for a second round now that someone’s teeth are all in). 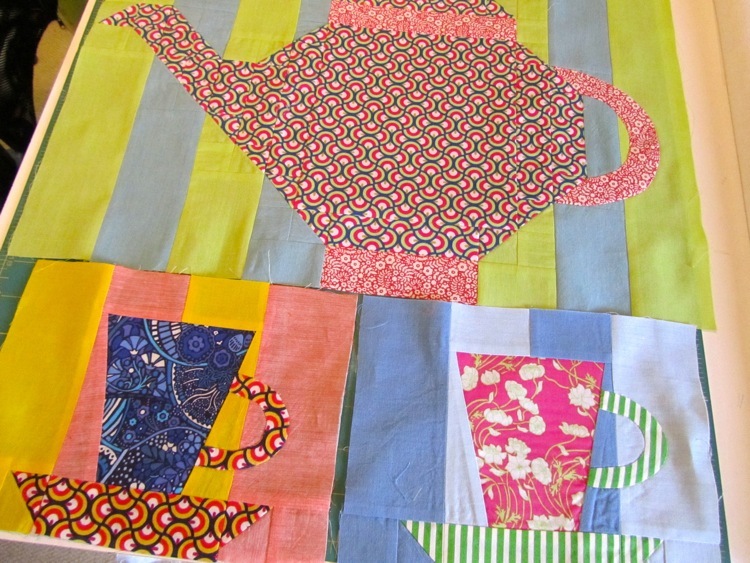 When life gives you lemons, distract yourself with lots of sewing, I say. Well, 1″ finished. I’m no hero. And you only get to see the back right now. Oh, and maybe some new houses different than the new houses last week. Housing market’s up! 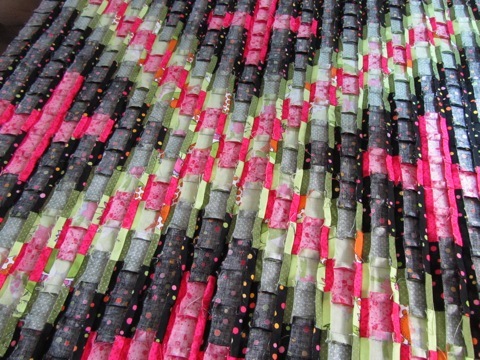 A new supply of yellow and green and white and black grunge arrived just as my sewing time was ending. I’ll have to add some color balance to the new housing development on another day. 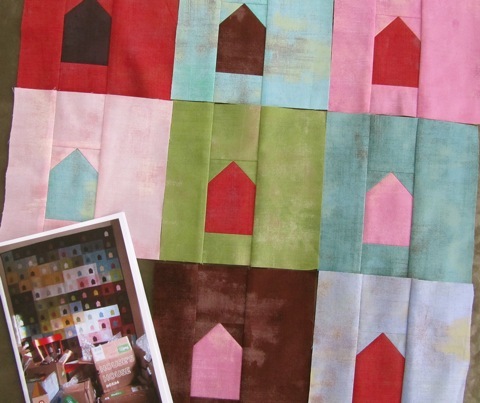 I’m enjoying Cherri House’s House’s House pattern (say that three times fast!) as much as Pamela Goecke Dinndorf’s Domiciles (from, last week). I’m also enjoying the Moda Grunge (by Basic Grey). Lots of smudge-y nuance in the colors. Gee, that brown looks an awful lot like that other brown….no, no, different colored smudges! Genius! I actually used the brown with pink smudges for a chocolate bunny Easter basket way back when = two years ago, I think. So, no linear paths to project completion here at the moment. We are still harvesting lemons to a certain extent here and I’m not getting out and about on the internets to visit everyone. I hope you will forgive if I have not replied to your wonderful comments. Please know that I appreciate every single one and they brighten my day. Especially on the days when I’m picking lemons. With that, I’m off for the weekend to pick some (vegetarian) cheesesteaks (oh, the heresy!) and hopefully visit the greater Spool/Loop complex. Is it water ice season yet?